Eric returns from his travels for a classic PCP episode and we get down to doing what we do best. 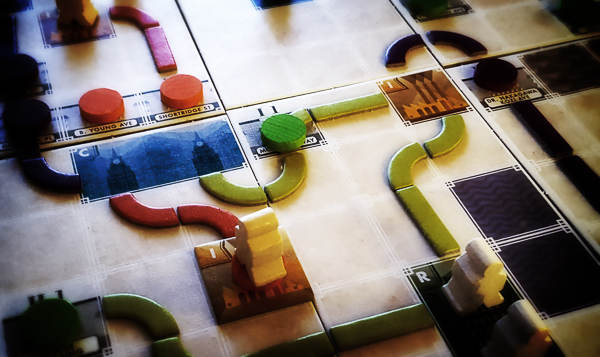 We have Tramways in-depth. We have rants. We have disagreements. We have things that went bad. Add in some raves, some whisky and a meaty trick-taking card game and I believe all the boxes have been ticked. Much fun was had. No animals were hurt. It’s a win-win. Enjoy. It’s finally here. Our first 18XX extravaganza. After 40-plus hours of 18XX gaming, and with the help of guest hosts Joe Sturgis and Tony KR, plus cold medicine, tea and lozenges, the PCP finally goes deep on this train crazy phenomenon. Run those routes and split those stocks! 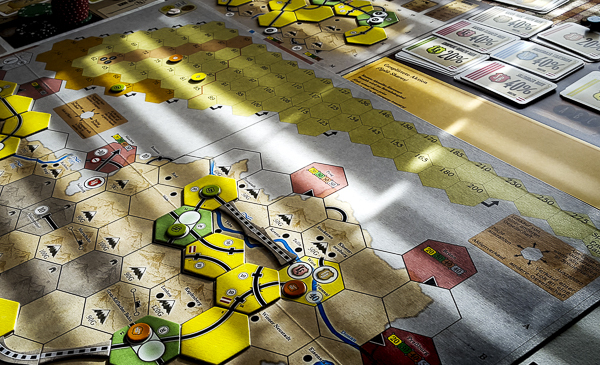 Coming at this from a new player’s perspective, we take you on a ride from the casual ease of 1846 to the intense pressure of 1854. And by “casual ease” we mean pretty damn hard, but with a friendlier learning curve. Anyway, it’s pretty much all 18XX this time around, and the main drama is whether Jim’s voice will hold out for the entire episode. Enjoy.